Apple’s iPhone 8 is still less than a week out in the wild, and we continue to learn new things about the phone that will only be the latest and greatest thing until the iPhone X arrives on November 3rd. First off, we have the news that the iPhone 8, iPhone 8 Plus and yes, the iPhone X all support Galileo GPS, Europe’s Global Satellite Navigation System. Apple hasn’t exactly kept this a secret – it has been visible on Apple’s product page since the new iPhones were announced – but it has received little coverage to this point. That’s unfortunate, because it should ensure that users receive a better location lock, which in turn means things such as navigation will be more accurate when using one of the 2017 iPhones. This is thanks to satellite support that should see better signals when in built-up urban areas. 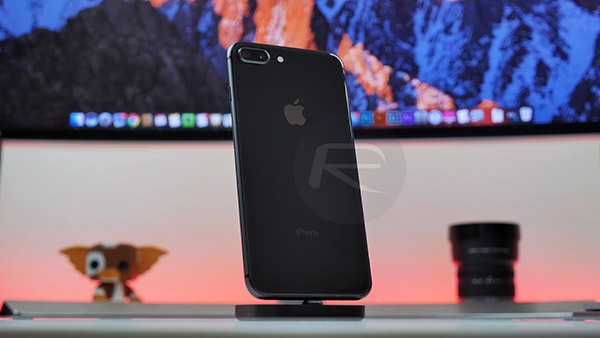 Moving on, we now also know that the iPhone 8, iPhone 8 Plus, and presumably, the iPhone X, all support the Enhanced Voice Services (EVS) audio codec that offers improved voice quality and better call reliability. For those who actually use their iPhones as a phone, this is excellent news indeed. EVS is the first codec that offers up to 20kHz audio bandwidth for higher quality audio, but the bad news is that T-Mobile at this point in time happens to be the only carrier in the United States that supports the new codec. AT&T, Sprint and Verizon in the States have all yet to announce when they will also support EVS. We’ll of course let you when, or if, they do though. Watch this space for more on this!